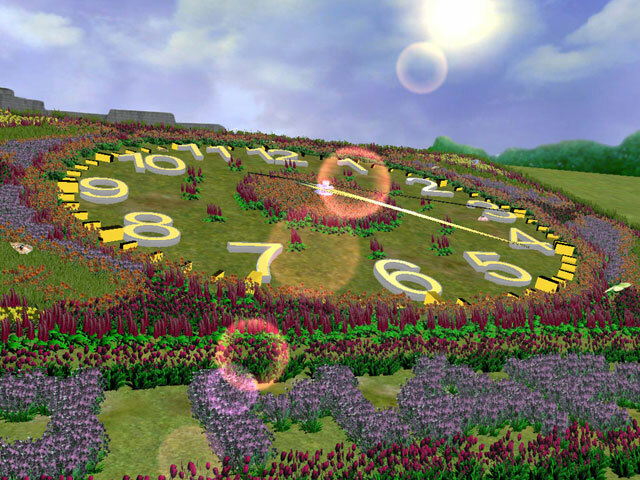 Flower Clock 3D screensaver - truly gorgeous 3D decoration for your screen! Spring is here and Mother Nature is slowly waking up. The time is just right to enliven your monitor screen! 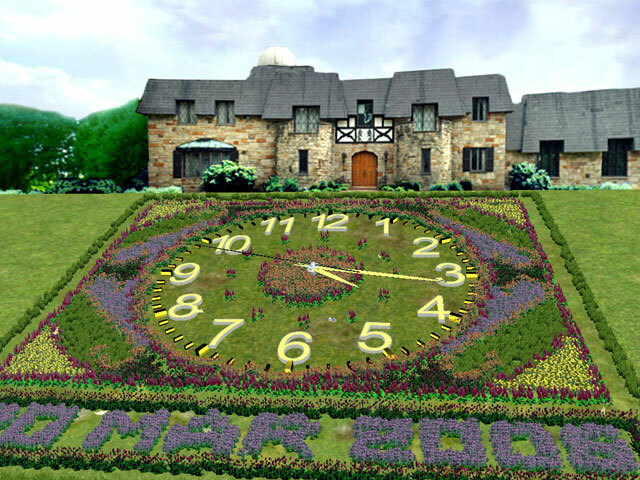 Here is a mind-boggling full 3D setting with the dazzling brightness of spring flowers in bloom, gorgeous butterflies merrily flopping up and down the beautiful lawn accompanied by the busy chatter of grasshoppers and crickets and an amazing tune. The sun is offering its warm and friendly rays for you to bathe in and relax. All of this in harmony with the usability of a clock and calendar makes it a truly gorgeous decoration for your screen! Enliven your desktop with the bright colors of spring and gorgeous butterflies!